HP Board 12th Result 2019 Update: As per the latest update, the HP Board 12th Result 2019 has been delayed for now. The Himachal Pradesh Board of Secondary Education (HPBOSE) will share an official date soon. All those students awaiting their HPBOSE Result 2019 will have to wait a bit longer. Many media reports hinted that the result was to be declared today, but as per the latest update it seems they were mere rumours. Candidates are advised to steer away from such rumours and follow official pages only. Therefore, we advise candidates to bookmark this page for the latest news and update on the same. 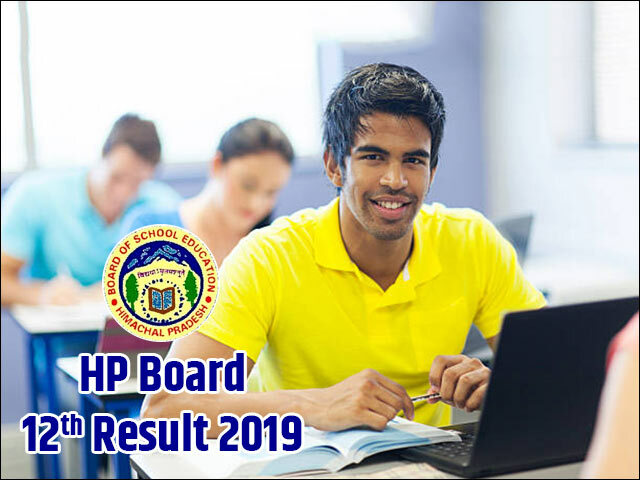 HP Board 12th Result 2019: HPBOSE 12th Result 2019 was expected to be announced today i.e. 20th April, 2019 - Saturday, as per the latest reports coming from the Dharamshala/Shimla office of the Board. HP Board 12th Result 2019 will be declared in the online on the official website of the board i.e. hpbose.org. Alternatively, students will also be able to check their HP Board Result 2019 Class 12 on hp12.jagranjosh.com. The publishing of HP Class 12 result 2019 online will allow easy access to all the students awaiting the same. HPBOSE 12th Result 2019 will be the gateway for admission to various undergraduate programmes and students will be able to seek admission to colleges on the basis of the results. To help you stay updated about the latest news regarding the HPBOSE 12th Result 2019, Jagranjosh.com is in constant touch with the Board officials. Any news and updates regarding the declaration date of HP Board Result 2019 Class 12 will be first published here. To stay updated about the latest news and updates regarding HPBOSE Result 2019, we request students to bookmark this page and visit it regularly. Alternatively, they can also register for the email alerts service in which HPBOSE Result news will be shared with them over Email. To register, submit your email id and mobile number on this page. With rumours and speculations about the HP Board 12th Result 2019 around, the anxiousness and buzz around the Himachal Pradesh 12th Result 2019 increasing by the day. However, as per the latest official update, the HPBOSE 12th result 2019 will be announced tomorrow. The HP Board 12th result 2019 is being released as per the annual academic calendar of the Board. In order to make an informed guess about their performance in the upcoming Himachal Pradesh 12th Exam Result, students need to look at the performance of last year. This will help the anxious students gauge the competition in the board exam and build practical and realistic expectations around the upcoming HPBOSE 12th Result 2019. Where and How to check HPBOSE 12th Result 2019 Online? Along with allowing students to check their HPBOSE 12th Result 2019 online on the website, students will also be able to download a softcopy / PDF copy of their scorecard for future reference. Apart from this, another option that students will have would be to take a printout of the Himachal Pradesh 12th Exam Result mark sheet from the website. This printed / download copy of HPBOSE Result can be used as a provisional result until the original mark sheet is issued by the board. However, a printed / downloaded copy is not an official document and therefore students will be required to furnish the originals for validation within the stipulated period as specified by the respective institutions. If you are confused about what career to pursue based on your HPBOSE 12th Result 2019, you can also ask our career experts. Our experts will provide you professional career advice and help you build a successful and bright future ahead, based on your interests and skills. After the declaration of HP Board 12th Result 2019, the Himachal Pradesh Board will also provide the chance to the student to clarify any doubts or remove ambiguity around the results. For students, who feel that they deserved more marks in the HPBOSE 12th Result 2019, they can avail the option of rechecking and re-evaluation. However, students interested in availing this option will have to make a formal application for the same along with the requisite fee for rechecking and re-evaluation process. The detailed procedure for the same will be notified by the HPBOSE soon after the declaration of HP Board 12th Result. Taking into account that HP Board 12th Result is the foundation of one’s academic and professional career, the HP Board will conduct Improvement / Supplementary / Compartmental Exam for the students who have failed in the March – April 2019 exam. The students who have not done well in the HP Board 12th Result can register for the Improvement / Supplementary / Compartmental Exam and get a second chance to improve their score or clear the subjects in which they have failed. Generally, the Improvement / Compartmental Exam for HPBOSE 12th Class students would be conducted in the month of June followed by results being announced shortly. The detailed notification regarding the Supplementary exam will be issued by the Himachal Pradesh Board soon. HPBOSE or the Himachal Pradesh Board of School Education was founded in 1969. The Board serves as a regulatory and supervisory body for school level education in Himachal Pradesh. With its headquarters based in Dharamshala, the Board has around 8000+ affiliated schools that provide primary, secondary and senior secondary level education. HPBOSE has shown tremendous growth in the past few years elevating the standard of education in the state. As part of its various responsibilities, the Himachal Pradesh Board also conducts the annual HP Board 10th Exam and HPBOSE 12th Class Exam in the state. In addition to these, the Board is also entrusted with the task of conducting J.B.T and T.T.C examinations as well.